What do you do during U-Hour? 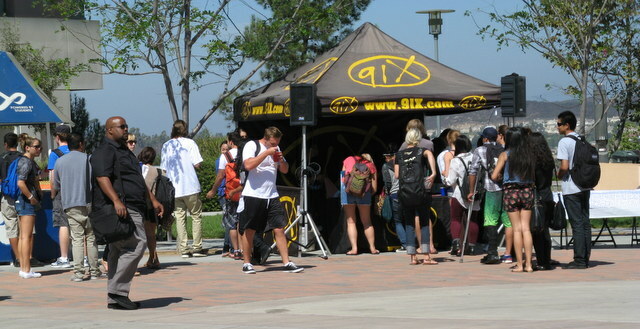 Students gather at a 91X radio station booth during U-Hour on Sept. 27. Twice a week CSUSM devotes time for student interactions and mingling during the Tuesday and Thursday U-hour from noon – 1 p.m. 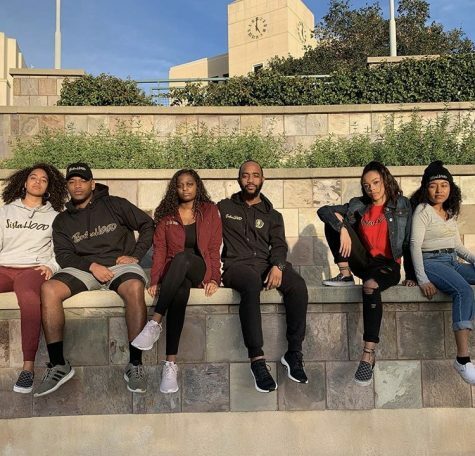 In 2006, Cal State San Marcos proposed a program that increased campus engagement while meeting the needs of CSUSM’s diverse population of 6,300 students. University Hour, or U-Hour, was established in hopes of engaging freshmen in college life, encouraging student participation in extracurricular activities and connecting students and faculty outside of the classroom. After extensive research by Institutional Planning & Analysis (IP & A), it was determined that peak lecture hours where between 9 a.m. and 3 p.m., and a larger student population was on campus on Tuesdays, Wednesdays and Thursdays. Many students choose to go off campus for lunch or to run errands. “During U-hour, I usually just go get food with my friend. I don’t hang around school, but I do know that there is always some kind of event or tabling at U-Hour to check out,” Ashley Aronson said. “I like to go get a slice from Flippin’!,” someone who wishes to remain anonymous said. Some students like to work on homework. 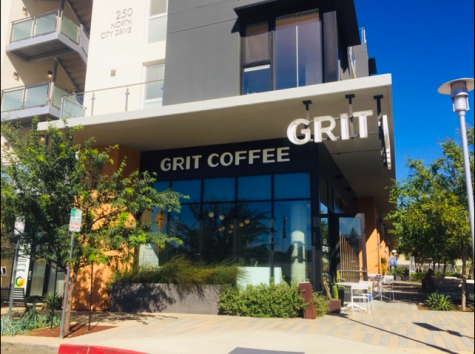 “I would normally just go into the Starbucks room and do homework and sip on a cool drink,” said Amanda Koshley. “I usually do homework, or meet up with my friends for lunch, or I go to the College Republicans meetings,” Jackie Perciado said. There are also some students who like to relax at the many benches or walls and enjoy a beautiful day on campus. “I like to sit in the sun like a flower absorbing the sun,” Walter Valle said. “I like to just sit and ‘people-watch’,” Darryl Mendoza said. What do you like to do during U-Hour? Tell us how you spend your free hour, twice a week, on our Facebook page or online at www.csusmchronicle.com. U-hour gives me the opportunity to socialize and hang out with my fellow frat brothers without having to worry about class since many of us have different class schedules.